Niki App - Experience the future! 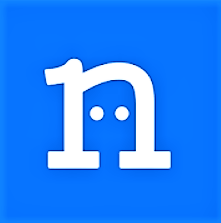 Niki is an all-in-one app, an AI-based personal assistant which helps you pay postpaid bill, electricity bill, book bus tickets and movie tickets online, utility bill payments, mobile recharge, book cabs at best prices, book bus, hotels and more. Exciting offers and deals across services. Niki is powered by leading brands like Ola, Uber, OYO, Cleartrip, Redbus, Ticketgoose, Mobikwik, Freecharge, Bookmyshow, Nearbuy and more. ★ Electricity Bill Payment Offer: Get 10% upto ₹150 cashback on 1st ever Electricity Bill Payment. Code: JULYELEC150. Extra upto ₹50 cashback on paying via Amazon Pay. ★ Prepaid Recharge Offer: Get 10% upto ₹100 cashback on 1st ever Prepaid Recharge. Code: JULYPRE100. Extra upto ₹30 cashback on paying via Amazon Pay. ★ Postpaid Bill Payment Offer: Get 10% upto ₹100 cashback on 1st ever Postpaid Bill Payment. Code: JULYPOST100. Extra upto ₹50 cashback on paying via Amazon Pay. ★ DTH Recharge Offer: Get 15% upto ₹150 cashback on 1st ever DTH recharge. Code: JULYDTH150. Extra upto ₹20 cashback on paying via Amazon Pay. 9. Hotel booking: Powered by Cleartrip and OYO, you can now book hotels via Niki. Book Premium hotels, Budget hotels and more. This post is about Haptik Loot Offer - Get 10% Cashback on Rs.300+ Payment via Amazon Pay Balance. Follow the above steps carefully. If you have any quires leave a comment below.